The Green Sports Alliance “leverages the cultural and market influence of sports to promote healthy, sustainable communities.” Professional sports have a huge environmental impact so it’s hard to ague with that goal. But, for some Alliance members there’s a basic conflict between what they do and sustainability. Is the Indianapolis Motor Speedway now allowing only electric powered racecars? Which makes one wonder; how much of what certain Alliance members do is green and how much is greenwash? But professional athletes as individuals also have tremendous cultural influence and can make a sustainability difference; and at least two really are. Yao Ming played in the National Basketball Association (NBA) for eight seasons and was selected as an NBA all-star every year of his career. He was born in Shanghai, played in the Chinese Basketball Association before going to the NBA, and it’s hard to overstate his popularity in China. Yao is now an advocate for efforts to decrease the killing of sharks for their fins. One in four shark species is endangered. About 100 million sharks are killed annually and about 75% of those are for the shark fin soup industry of which China is the world’s largest market. 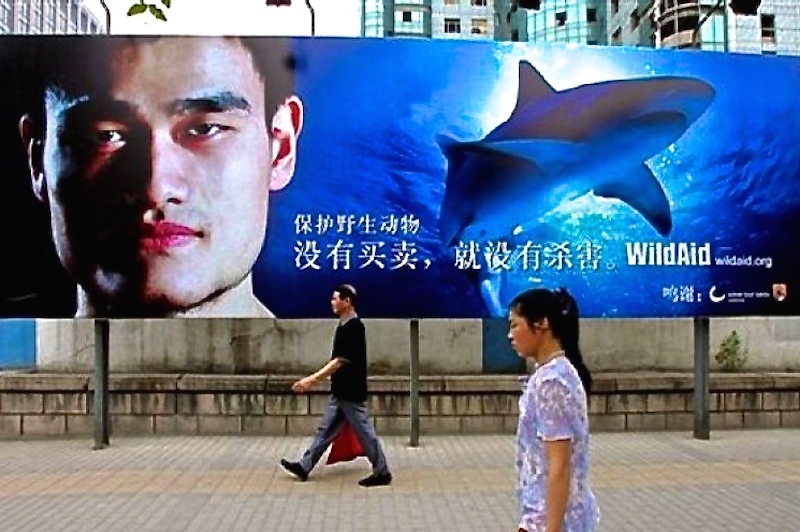 Campaigning by nonprofit organizations including Wild Aid, for which Yao is a spokesperson, is credited with cutting in half or more shark fin sales. Ovie Mughelli was a National Football League (NFL) running back for nine seasons. His sustainability efforts began in 2007 while he was still an active player. His Ovie Mughelli Foundation inspires “kids to Go Green and become Eco-Champions.” He hosts free sports camps for at-risk youths that teach not only football but also sustainable living.